hotchkis23 had the most liked content! Racing anything, family, the great outdoors, long walks on the beach, and many, many more! I think it would take someone to file a value protest or alert tech ahead of time on an engine that is out of bounds from a cost perspective. Guessing it's more so the guys putting the fire out don't have to smell burning hair, it is quite off putting...I bought a balaclava for this year after seeing video of the miata fire last year. Scary stuff. Remember, this is now based on performance not $$$ of parts so outside of carbon fiber, you are correct. We have been told since 2017 that air dam was 10, splitter back to the front axels was 10, anything between the axels was 10, anything from the rear axels back was 10, and any type of wing/splitter was 10. There was a thread on this back then too where this was all explained. We have been claiming 40 points for our aero since then, air dam+splitter+side skirts+wing. Just to be clear Ray, any ratio that fits in the housing is acceptable? Meaning if we want to stick a gear set out of a kia in our mazda we are good if it fits in the stock diff housing? Oh I'm not choosing sides here, just saying what I have heard through the grapevines. Kinda like if an aftermarket control arm is still the same "physical dimensions" but allows for more adjustment is no longer "stock"
If that is the Datsun, that car was recently listed for sale on the forum, but yes, not allowed if fuel. Ben runs an e36 now that has been shown off further back in the thread. Doesn't this fall under not being the same construction as the USDM engine?? Those parts were not offered on the USDM 99 engine, in fact that cam didn't come to a Miata until the 2002 Mazdaspeed Miata, at least from what I've read. I'd get a ruling from tech on that to be safe..
Diff is no points because of the swap, having to start with 1.8 value lets you use 1.8 diffs. We have been told anything added to the top that takes it outside of the stock hard top general shape(see our homeade top) is charged as material points. In our case, we built the cage when tops were 700pts back in the day and cannot really make one work with how the cage is without redoing it. https://hanchagroup.wordpress.com/2013/01/29/splitter-or-air-dam-which-design-is-best/ This one by chance! $160 is CHEAP! 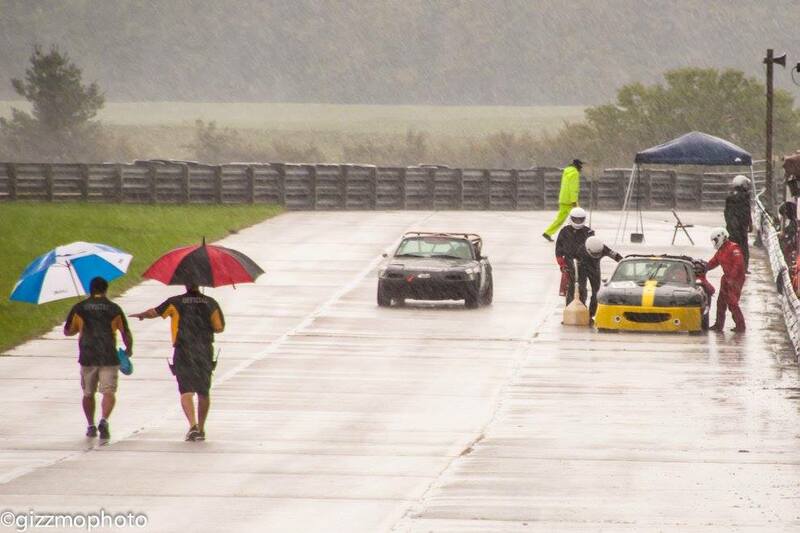 Road America is $295 for a track day, $1000 for a test and tune(still 30 minute sessions) for a single day. So yes, in my opinion the cost of the Champcar race would be considered a deal, as you are getting essentially 3 test and tune days for the about 2/3's the cost of renting it out yourself, plus not having to meet the 8 car minimum requirement to even rent the track. Not trying to argue, just showing why I feel that way. This car is our dream build! It looks like you guys are doing a great job! Come on man!! At least let us Iowa boys have our Busch Latte! Heck, how much Cedar Ridge do I need to mule you to buy you now that you are a politician?